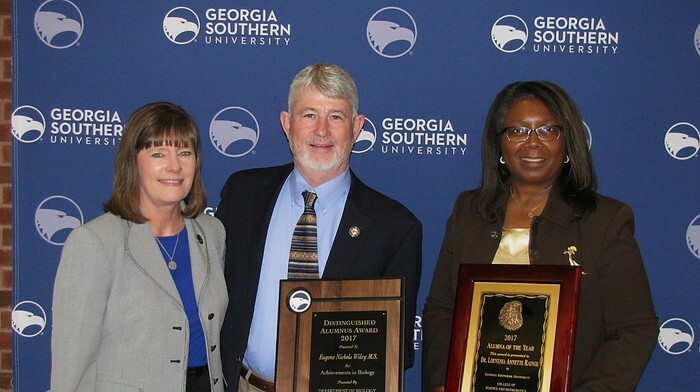 Michele McGibony, Ph.D. (far left) and Christine Whitlock, Ph.D. (3rd from the right), of the Department of Chemistry and Biochemistry were awarded the 2017 Georgia Southern University Excellence Awards for Instruction and Service, respectively. 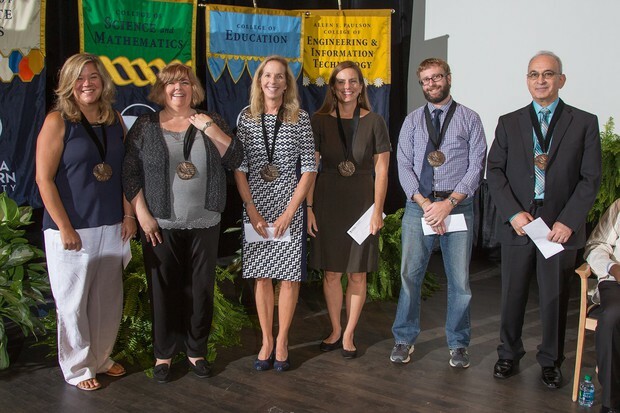 The College of Science and Mathematics held convocation on August 9, 2017 and presented three faculty and one staff member with the COSM Awards of Excellence. 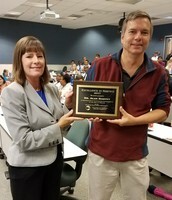 Alan Harvey, Ph.D., of the Department of Biology received the COSM Award of Excellence in Service. 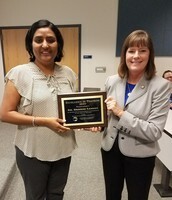 Shainaz Landge, Ph.D., of the Department of Chemistry and Biochemistry received the COSM Award of Excellence in Teaching. 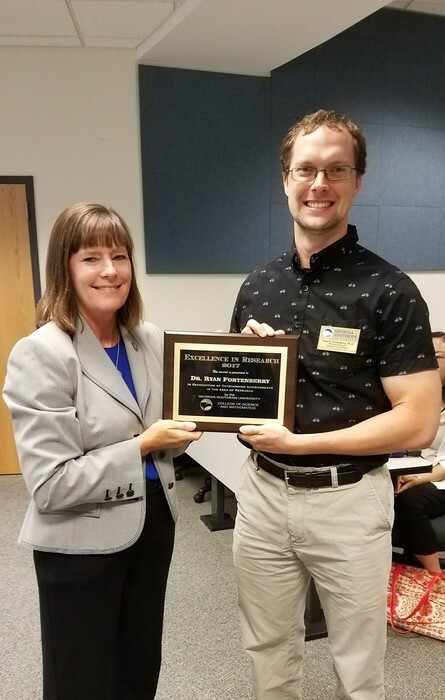 Ryan Fortenberry, Ph.D., of the Department of Chemistry and Biochemistry received the COSM Award of Excellence in Research. 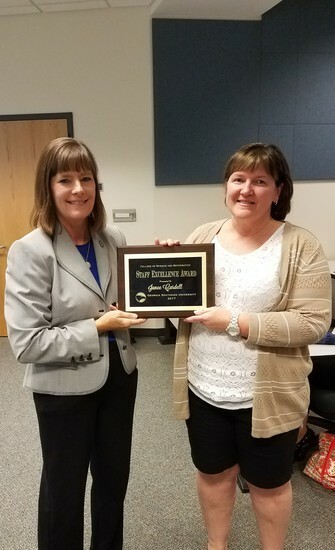 Janee Cardell, of the Department of Biology, received the COSM Staff Award of Excellence. 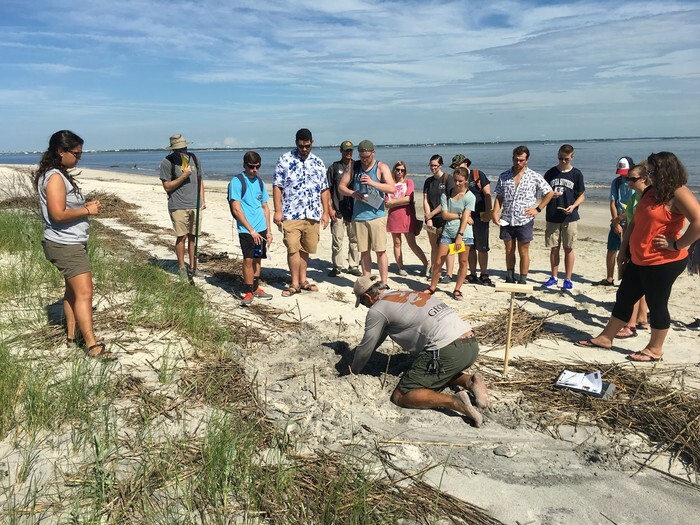 Many of our undergraduate students conducted research and attended meetings over the spring and summer. Maggie Howard, an honors student working with Scott Harrison, Ph.D., won the Elsie Quarterman-Catherine Keever Award for the most outstanding poster presentation in the field of ecological research at the Association of Southeastern Biologists meeting. 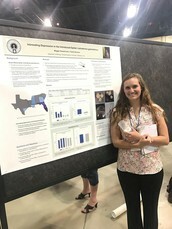 Emily Knight, mentored by Scott Harrison, Ph.D., received the 2nd place award at the Georgia Entomology Society meeting for her student poster. 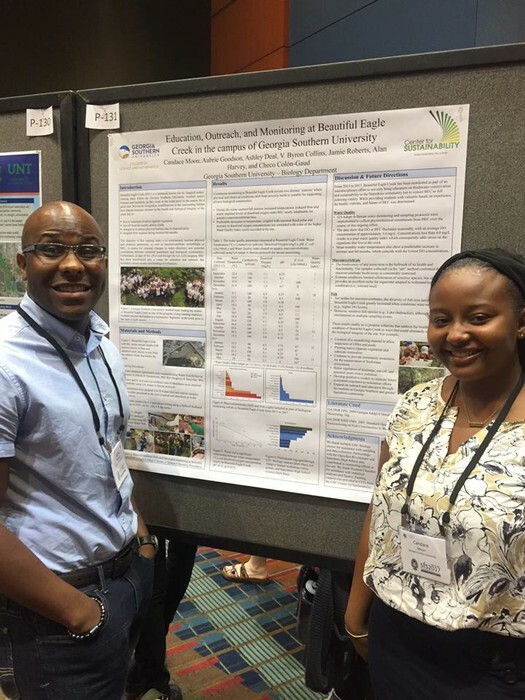 Undergraduate students Candace Moon and Aubrie Goodson, presented their poster at the annual meeting of the Society for Freshwater Science. 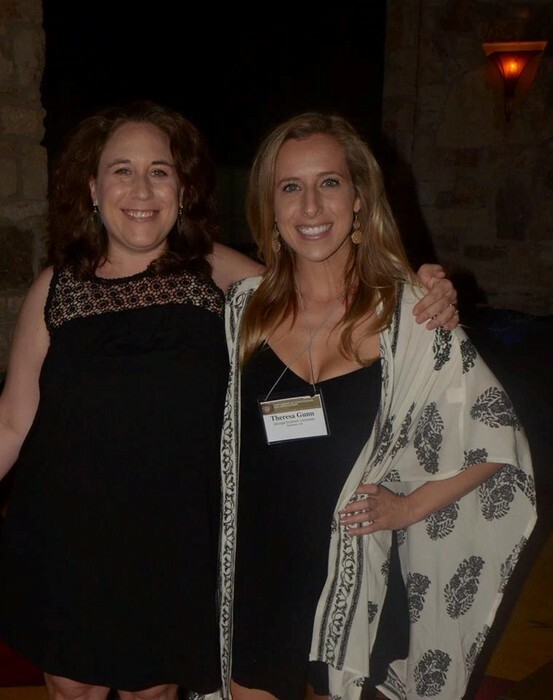 Kelsey Laymon, mentored by Checo Colon-Gaud, Ph.D., was recently awarded $1,500 scholarship from Air & Waste Management Association. 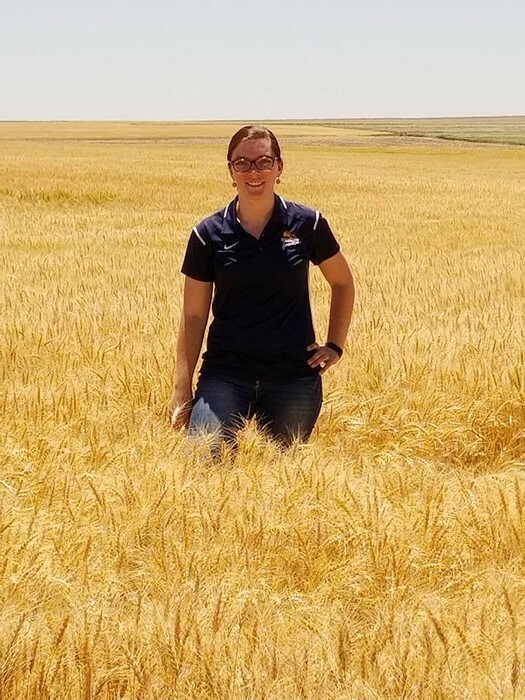 Graduate Student Rebecca Scott was elected to be President of the Graduate Student Organization at Georgia Southern University this year. 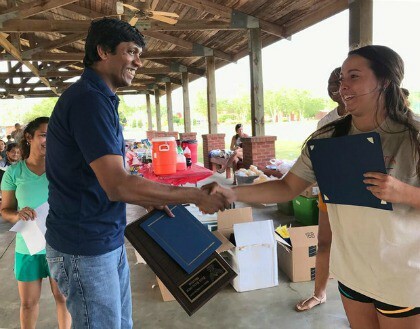 Senior biology major, received a $5,000 scholarship from the local chapter of Phi Eta Sigma National Honor Society in recognition of his hard work and strong academic record. 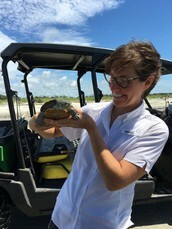 Graduate student mentored by Christine Bedore, Ph.D., won the Mollet Research Award for her research proposal at the American Elasmobranch Society and American Society of Ichthyologists and Herpetologists Joint Meeting in Austin, TX. Graduate student, received this year's prestigious Averitt Award for Excellence in Graduate Research. This is the university's highest honor for graduate student research. This is the 7th year this award has been offered and students from the Biology Department have received four of these. 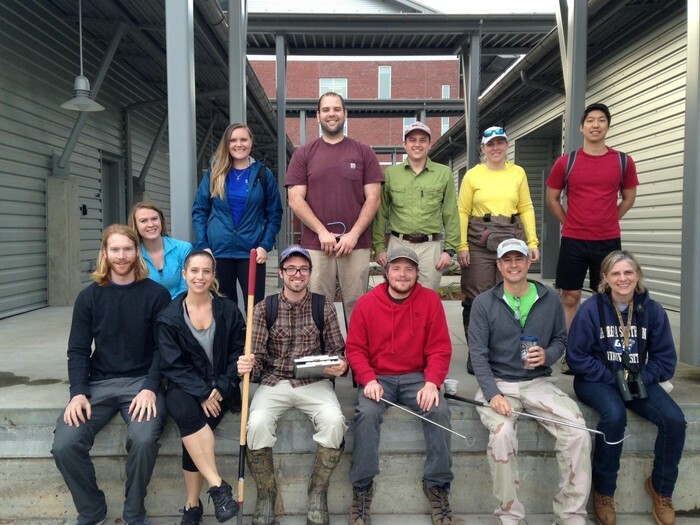 Emily Kane, Ph.D.'s "The Kane Lab" has started the semester off with a bang! The lab contributed to the "Why my science is awesome" outreach and education initiative by a middle school teacher with the following blog post. 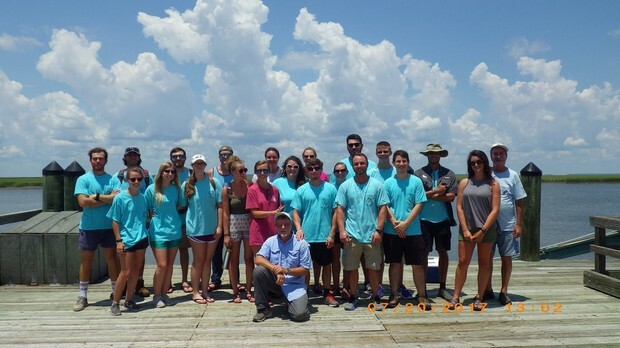 The lab also collaborated with a visiting researcher this summer - Kassandra Ford, a Ph.D. student at the University of Louisiana, Lafayette (pictured upper right). She is interested in the feeding kinematics of South American weakly electric knifefishes. 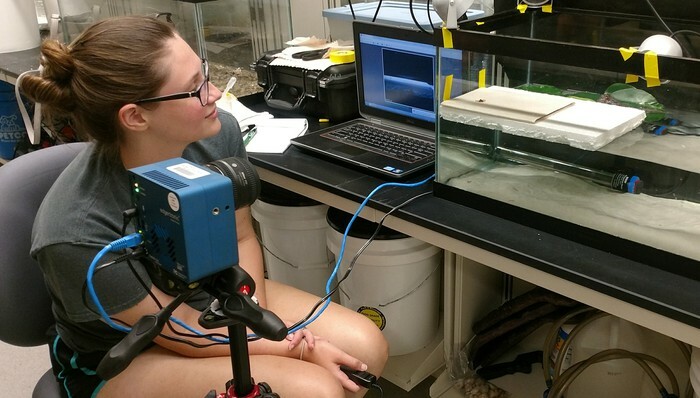 Graduate student Hannah Cohen (pictured left) has started collecting data from guppies with a project examining the different ways guppies used their mouths to capture their prey. She's becoming a pro with our high speed cameras! View a zoomed in video of a guppy eating a copepod, filmed using near IR light (that's why the guppy looks like a ghost). 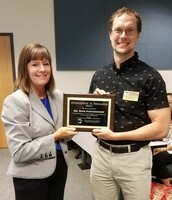 Nick Wiley accepted his Biology Alumnus of the Year award at a Saturday luncheon in the spring. 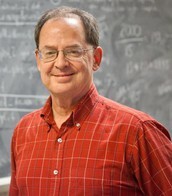 He was the department's 46th Alumnus of the Year recipient. 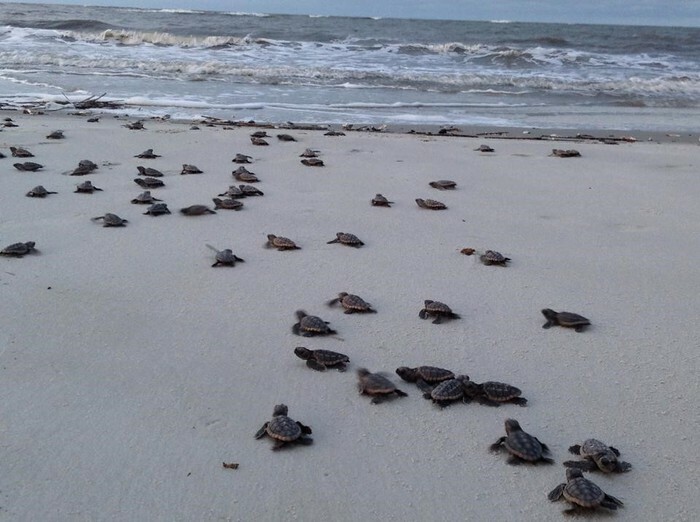 Nick is currently the Executive Director of the Florida Fish and Wildlife Conservation Commission. 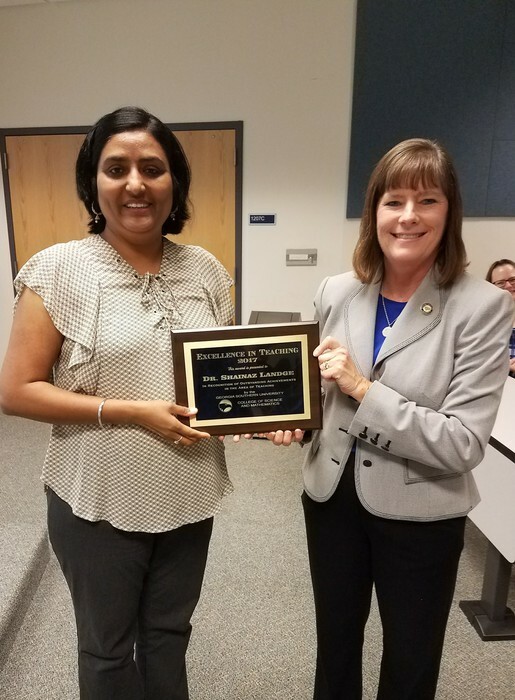 Biology Alumnus Louvenia Rainge, a dentist from Augusta, received the College of Science and Mathematics Alumna of the Year award. Nick and Louvenia went to the same high school and knew each other well. He was student body president, and she was valedictorian. It was a memorable Alumni Banquet. Many of our graduates have landed interesting jobs or are now attending graduate schools. Their jobs and studies take them all over the country as the following examples attest. Alumna Kaitlyn Hanley is studying pikas in the Rocky Mountains for her graduate work at Clemson University. 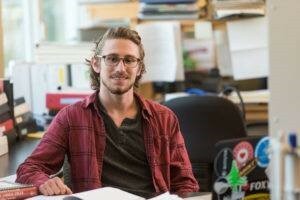 Alumnus Alex Troutman is employed with the U.S. Fish and Wildlife Service in Wisconsin, and is working on reintroduction of the endangered Karner Blue Butterfly in Wisconsin. Marine Osier (pictured left) is working for Pheasants Forever in Colorado. Nick Macias is working on his Ph.D. at UC-Santa Cruz and Lauren Neel is off to a Ph.D. program at Arizona State University. The Department of Biology welcomes 2 new permanent faculty members and 2 new visiting faculty members for this academic year. Dongyu Jia, cell biologist, received his Ph.D. from Florida State University and completed a postdoctoral appointment at the Woman’s Cancer Program, Cedars-Sinai Medical Center, Davis, California. Dongyu uses fruit flies as a model organism. He was recently named a “Notable Nole” at Florida State University. The Notable Nole awards (formerly the Thirty Under 30 awards) of the Florida State University Alumni Association recognizes alumni with “exceptional achievements and significant contributions to his or her profession, community/society or the university.” Joshua Gibson will begin his tenure-track position in January 2018. He received his Ph.D. from Arizona State University and is currently in a post-doctoral position at the University of California, Berkeley. Josh was hired to teach in the area of Genomics and he uses honeybees as a model organism. 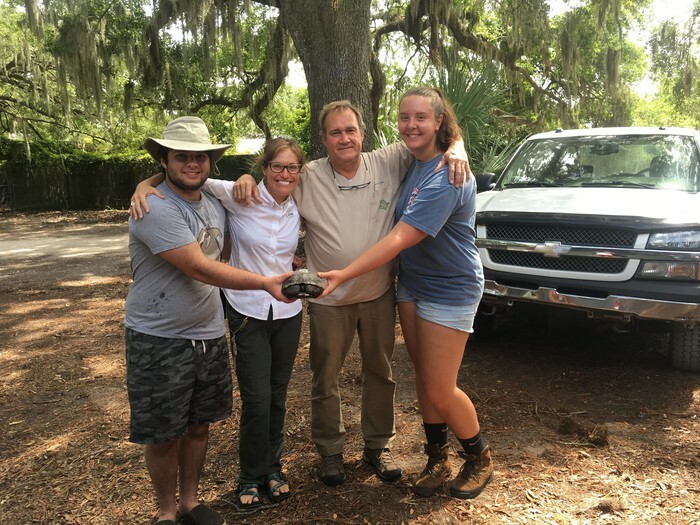 Joe Figel, conservation biologist, is a new visiting faculty member who recently received his Ph.D. from the University of Central Florida. He studies jaguars and their potential as an umbrella species to protect other habitats and organisms of concern. Elizabeth Sargent, marine biologist, is also a new visiting faculty member and she received her Ph.D. from the University of South Hampton, in Southampton, UK. 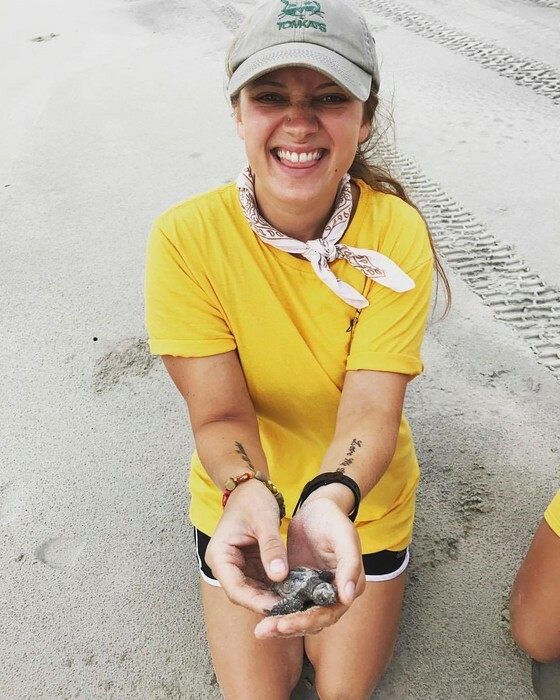 Elizabeth has most recently been teaching at the University of South Carolina and her research interests focus on carbon and nitrogen cycling in the ocean and the role that phytoplankton play in those cycles. Faculty in the department continue to distinguish themselves in research, teaching and service. 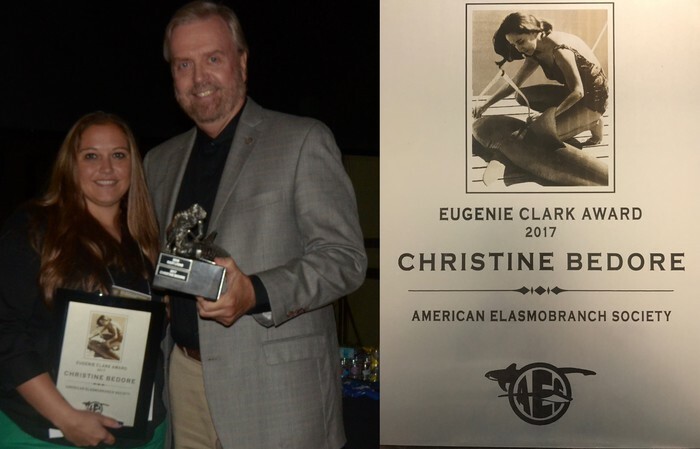 Christine Bedore, Ph.D., was selected to receive the Eugenie Clark Award (founder of the Mote Marine Lab and pioneer in elasmobranch biology). Christine also organized a symposium session on elasmobranch physiological ecology and gave 2 talks, and was nominated and elected to the AES Executive Committee. Edward Mondor, Ph.D., was selected to be a Governor’s Teaching Fellow, the 5th in our department. In addition Ed was elected President of the Georgia Entomological Society at their meeting this year. Alan Harvey, Ph.D., received the COSM Award for Excellence in Service at this year’s convocation. Lance Durden, Ph.D., was selected as this year's Parrish Scholar. This award was endowed by John and Paula Parrish and seeks to recognize senior faculty who excel in student mentoring, teaching and research. Emeritus Professor Bill Lovejoy, Ph.D., received the Muskinghum University Distinguished Service at this year’s Alumni Convocation. Michelle Tremblay, Laboratory Supervisor, was selected for a 2017 Merit Award during the University Staff Service and Awards of Excellence Ceremony. Administrative Coordinator Janee Cardell received the Staff Award for Excellence at this year’s COSM Convocation. 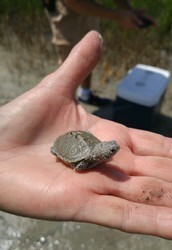 Many students and faculty in the Department of Biology have interests in Natural History. 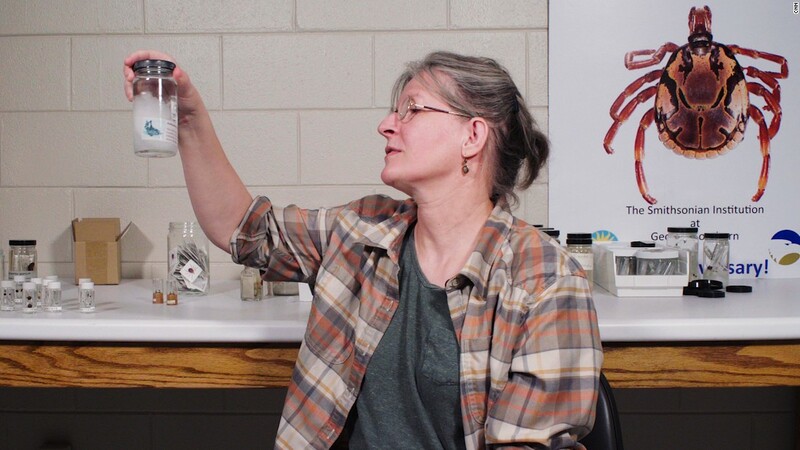 This interest is reflected in our museum collections, clubs (@GSUNatHistory), and a research effort to document all vertebrate species found on campus. 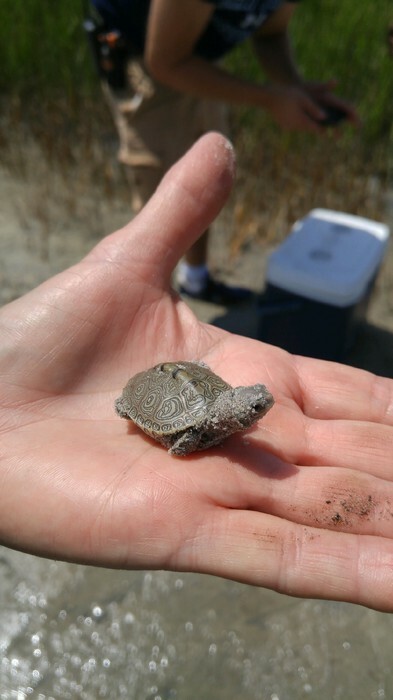 Two BioBlitz Events were held as part of this documentation effort. In April, the Herbarium curated by John Schenk, Ph.D., hosted President Jamie Hebert, Ph.D., to outline work in the Herbarium funded by the National Science Foundation. Dr. Hebert visited with students and faculty to better understand our vast botanical holdings. COSM Alum Benjamin T. Manard, Ph.D., was recently featured in the Journal of Analytical Atomic Spectrometry (JAAS). Benjamin graduated from Georgia Southern with his Bachelors of Science degree in Chemistry in 2009. 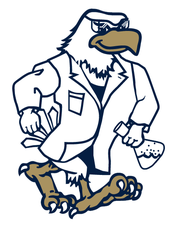 While studying at Georgia Southern, he performed research in analytical chemistry under L. Shannon Davis, Ph.D. He then attended graduate school at Clemson University and obtained his Ph.D. in 2014. He was awarded a Glenn T. Seaborg postdoctoral fellow at the Los Alamos National Laboratory (LANL). 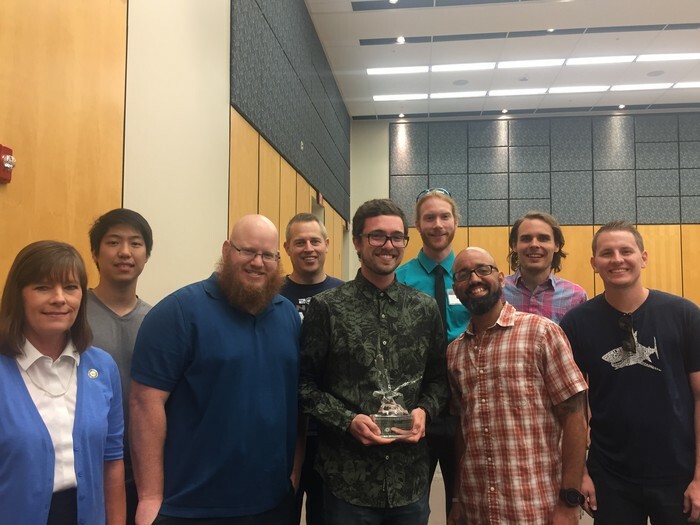 After completion of his postdoctoral appointment in 2016, Benjamin was promoted into a staff Scientist position and is part of the Plasma Team at LANL, which he currently holds. Benjamin also serves on the Executive Committee (EC) of the Society for Applied Spectroscopy. The department welcomed four new tenure track faculty for the fall. Dr. Tuyin An completed her Ph.D. in Mathematics Education from Purdue University. Dr. Yongki Lee received his Ph.D. in Applied Mathematics from Iowa State University and comes to us from a visiting position at the University of California-Riverside. Dr. Yuanzhen Shao received his Ph.D. in Mathematics from Vanderbilt University and comes to us from a visiting position at Purdue University. Dr. Eryn Stehr completed her Ph.D. in Mathematics Education from Michigan State University. Divine Wanduku, Ph.D., who has been in the department for two years, transitioned from a lecturer into a tenure track position in August. Finally, we welcomed Larie Ward, Ph.D. as a regular, limited term faculty member. Dr. Ward received her PhD in Mathematics from the University of Florida. We are very excited to have these new faculty in the department! The department continued to host active colloquia and seminar series. We hosted 19 colloquia speakers in addition to the seminars in geometry, statistics, mathematical physics, computational science, and analysis. Our Distinguished Lecture Series speaker was Doron Zeilberger, Ph.D., from Rutgers University. 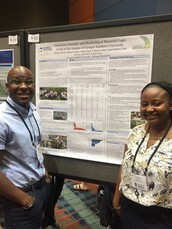 In May, the department hosted an NSF-sponsored conference in Savannah. The International Conference in Approximation Theory was organized by Alex Stokolos, Ph.D., Jiehua Zhu, Ph.D., and Emil Iacob, Ph.D. One afternoon was dedicated to the memory of our treasured colleague, Dr. Yingkang Hu. 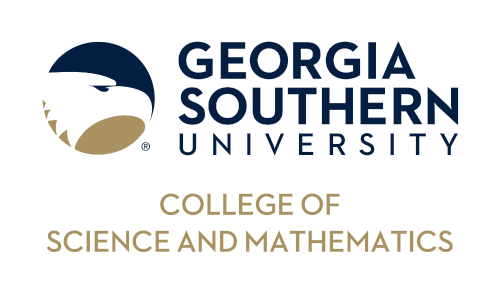 Plans are already underway to host the 30th Georgia Southern University Invitational Mathematics Tournament as well as the Eagle Undergraduate Mathematics Conference in February 2018. 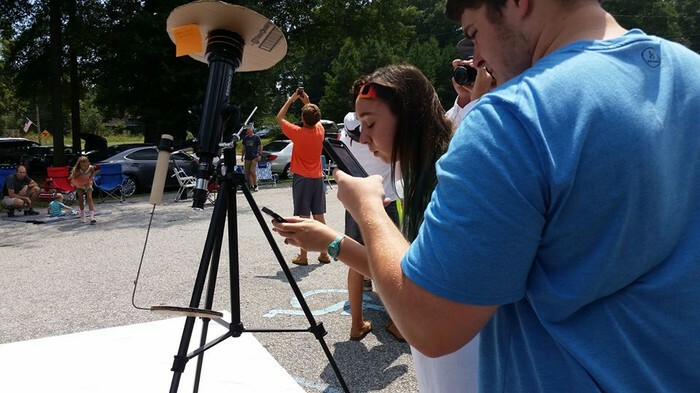 As the Georgia Southern Planetarium Coordinator, I scheduled a “Physics Eclipse Caravan” to go see the August eclipse. A town called Cross Hill, SC was in the middle of Totality and seemed like a spot that would not be overcrowded like Columbia or Charleston. Thirty-six physics majors and friends joined us on the caravan as we headed to South Carolina to setup in a church parking lot. The trip took us around 2.5 hours. Upon our arrival, to our surprise there were a lot more people than we were expecting. 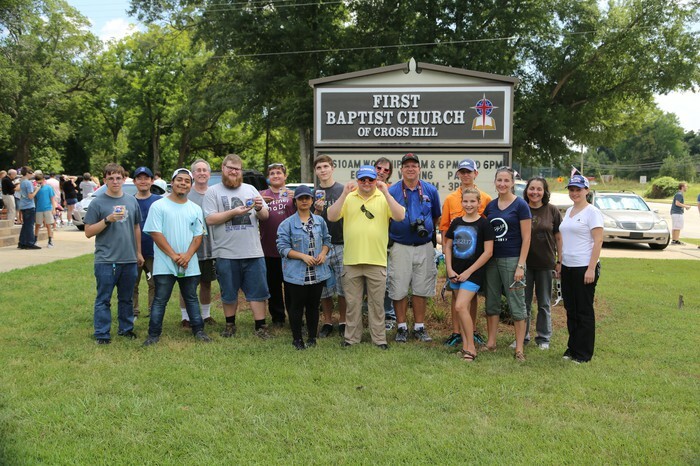 The Pastor had opened his church and grounds to the public, and even had a BBQ ready for the eclipse watchers. With our solar telescope we could see a sunspot group on the solar disk, though no prominences were visible. For an hour we watched through the Eclipse Shades as the Sun kept getting smaller and smaller increasing the anticipation. The temperature steadily dropped. For a while there we were not sure if we would see totality as clouds had moved in and covered the Sun. A white sheet we had put out on the ground showed “Shadow Bands” indicating that totality was quickly approaching. Luckily, just in time the clouds moved out of the way and we saw the Sun quickly vanishing. When the Sun disappeared and the “Diamond Ring” briefly appeared we quickly took off our glasses and I started my stop watch to know how much time we had. The once bright solar photosphere looked like a dark black hole in the sky. 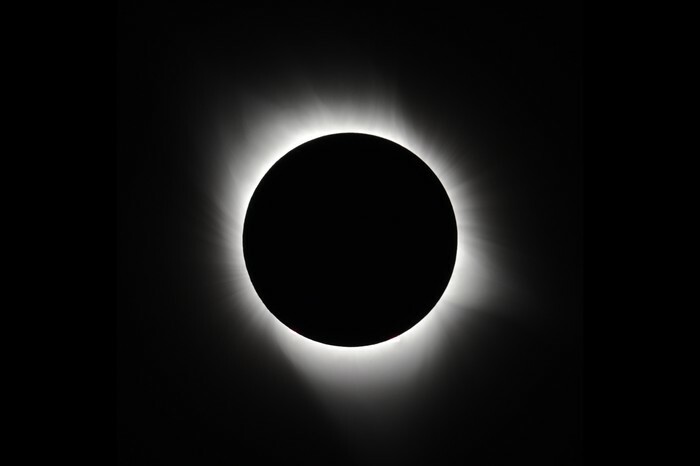 The corona that surrounded the eclipsed sun was a ghostly white, and truly did look like a crown. Some bright stars along with the planets Venus and Mars were visible in the twilight sky. Two minutes and thirty seconds later my watch rang and it was time to put the shades back on. We saw the Moon begin to move out of the Suns way bringing totality to an end with a quick flash of “Bailey’s Beads”. 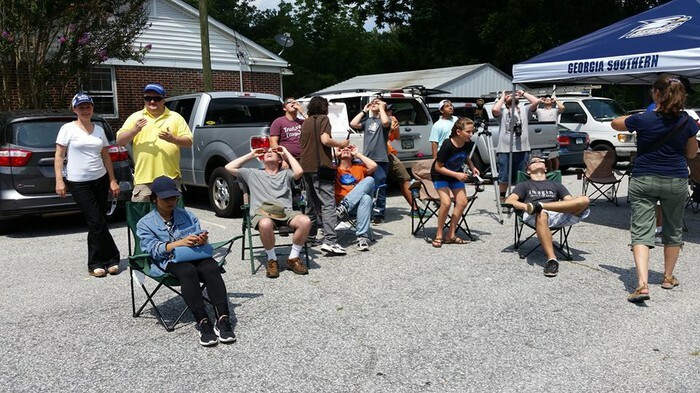 It really was a wonderful experience and I am looking forward to the next eclipse in 2024. Quantum Institute (JQI) and the National Institute of Standards and Technology (NIST). The grant runs from September 1, 2017, through August 31, 2020. 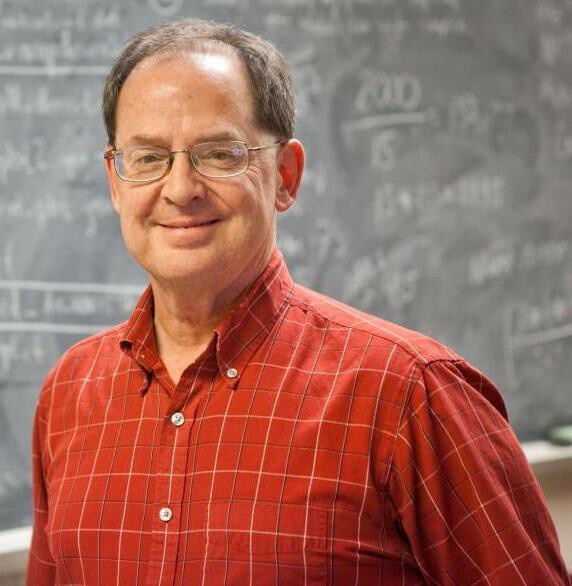 This is the ninth proposal in a row that has been awarded to Edwards by the NSF as a single-Principal Investigator grant devoted to basic research in ultracold quantum gases. Edwards has been funded continuously since September 1996 and the total value of these awards is now more than $1,000,000. gas that has been confined to two-dimensions by squeezing it with laser light and cooling it to nearly the absolute zero of temperature. The low temperature of such confined gases enhances the display of the wave-like quantum mechanical nature of the constituent atoms so that they form a state called a Bose-Einstein condensate (BEC). A horizontal thin sheet of gas in the BEC state can be molded by the confining laser light into arbitrary closed-loop shapes analogous to closed electric circuits. The gas can then be stirred by lasers so that it flows around the closed loop like the electrons in an electric circuit except that the particles are neutral atoms. extremely sensitive quantum sensors of rotations, of magnetic fields, and of gravitational fields. This research program will study how the quantum turbulence that often appears when such gases are stirred can be harnessed to enhance the operation of these quantum sensor devices. Methods for readout of the important characteristics of these circuits (such as analogs of ammeters and voltmeters in electric circuits) will be developed. producing condensate flow, especially smooth flow, will be studied. The operation of each atom circuit will be simulated both at zero and non-zero temperature. The flow present in atom circuits often involves the appearance of numerous topological excitations such as vortices (i.e., miniature tornadoes in the gas) and solitons (solitary waves that move without changing shape) and thus exhibits "quantum turbulence". This research program will support at least two undergraduate physics majors to gain state-of-the-art research experience in the area of ultracold atoms. Results of this research will be broadly disseminated to enhance scientific and technological understanding by developing virtual reality (VR) videos that describe the physics of BECs at a level that is accessible to the lay public. These VR videos will be suitable for display on VR headsets such as the Oculus Rift and Google Cardboard. Finally, an understanding of the role of quantum turbulence in atom-circuits will enable the design of a new generation of practical devices that will find applications in metrology and navigation. This knowledge will also aid the understanding of fundamental properties of quantum matter. Together with Dr. Noginova from Norfolk State University, Dr. Durach also co-authored an invited book chapter titled “Plasmon Drag Effect. 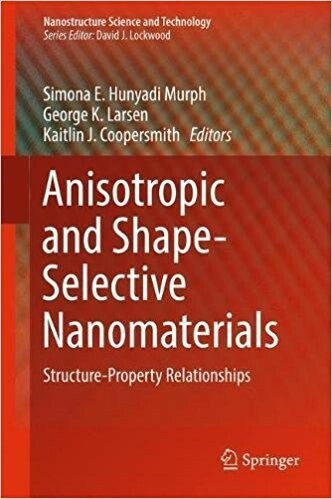 Theory and Experiment” in “Anisotropic and Shape-Selective Nanomaterials” published by Springer in 2017, editors Simona Murph, George Larsen, Kaitlin Coopersmith (https://www.amazon.com/Anisotropic-Shape-Selective-Nanomaterials-Structure-Property-Relationships/dp/3319596616/ ). 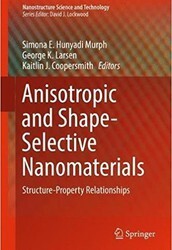 In the book chapter the authors describe their pioneering work and discoveries in the field of Plasmon Drag Effect and novel Plasmogalvanic Phenomena. Physics faculty members Xiaojun Wang, Ph.D. and Li Ma, Ph.D. had a busy summer participating in scholarly activities. (Pictured: Dr. Wang, as an invited speaker, presented their recent research results at the 18th International Conference on Luminescence (ICL ‘17) in Joao Pessoa, Brazil (August 30, 2017). First, they joined the ETSI volunteer teaching program organized by Emory University and spent more than two weeks (May 20 - June 4) in India at Sera, Gaden, and Drepung monasteries in south India this year. There were 74 faculty members from 19 states and 41 institutions of the US participating in the program to teach science (neuroscience, philosophy, physics and biology). After that, both of them went to China and gave several invited talks at different universities there, including Sun Yat-sen University, South China University of Technology, South China Agricultural University, Yunnan Minzu University, and Dalian Maritime University. Dr. Wang also attended the editorial board meeting of Light: Science & Applications (a prestigious journal co-published by Springer-Nature and CIOMP, CAS) and was awarded as an Outstanding Editor of 2016-2017 by the journal (Changchun, China, July 15-18). He continuously serves as the Editor of Luminescence for the journal Materials Research Bulletin (Elsevier). 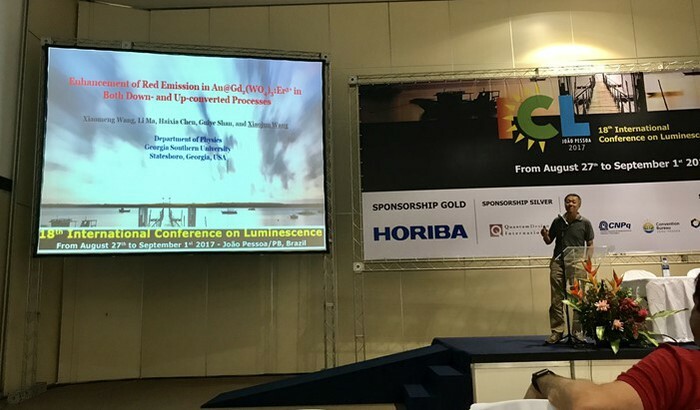 In addition, Dr. Wang gave an invited talk at the 18th International Conference on Luminescence (ICL ‘17), titled “Enhancement of red emission in Au@Gd2(WO4)3:Er3+ in both down- and up-converted processes,” in Joao Pessoa, Brazil. 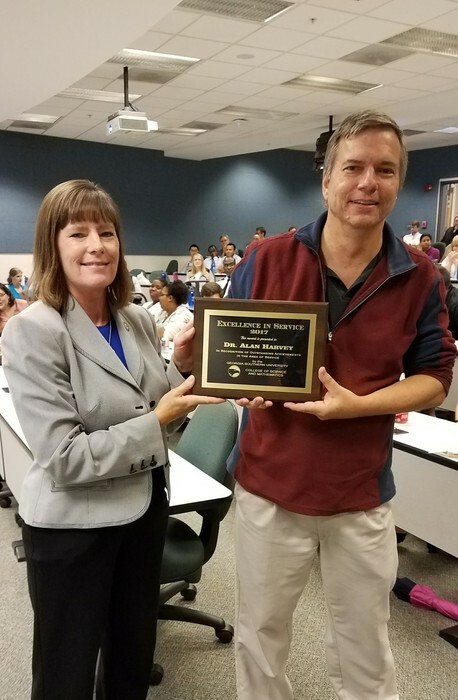 Maxim Durach, Ph.D. presented invited talks at the Materials Science Research Seminar in Augusta University (http://www.augusta.edu/scimath/chemistryandphysics/materials-thursday.php ) on 2/10/2017 titled “Plasmon Drag Effect and Plasmogalvanic Effects in Metal Nanostructures” and at the Low-Dimensional Structures Seminar at Ioffe Institute in Saint-Petersburg, Russia (http://ld-seminar.ru/archives/seminar ) on 5/29/2017 titled “Optical and Plasmogalvanic Effects in Metals and Metamaterials”. 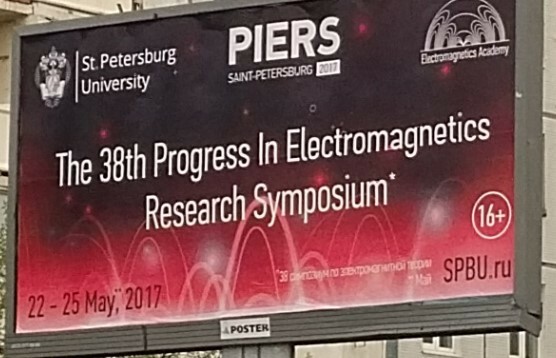 Dr. Durach presented talks at the American Physical Society (APS) March Meeting 2017 in New Orleans, LA; Conference on Lasers and Electro-Optics (CLEO 2017) in San Jose, CA and at the Progress in Electromagnetics Research Symposium (PIERS 2017) Saint-Petersburg, Russia. 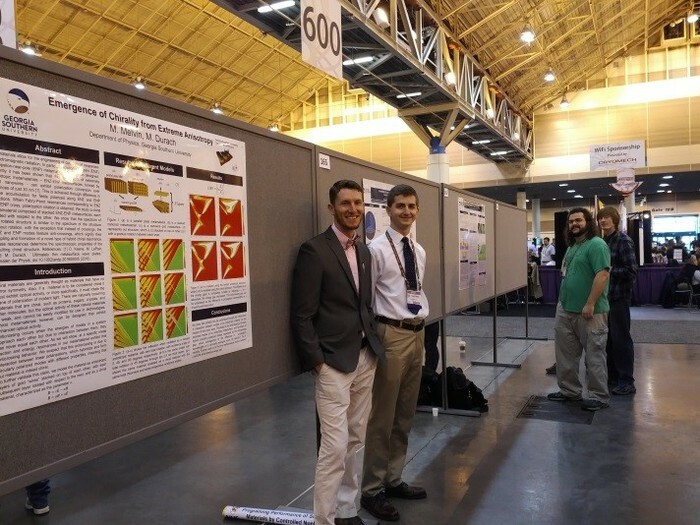 Department of Physics undergraduate researchers Michael Melvin, Reed Hodges and graduate researcher Matthew LePain presented their work with Maxim Durach, Ph.D. at the American Physical Society (APS) March Meeting 2017 in New Orleans, LA, March 16, 2017. The US National Tick Collection, part of the Smithsonian Institution and housed at Georgia Southern University, contains more than a million specimens. 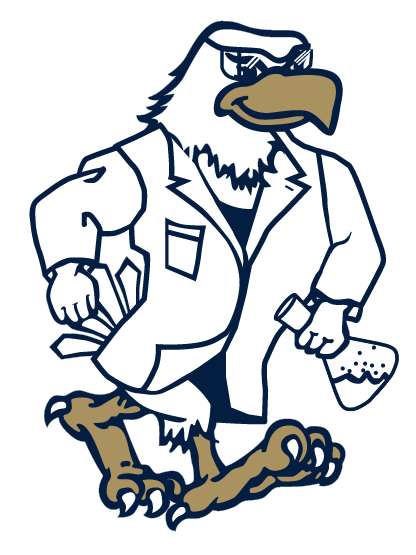 The College of Science and Mathematics at Georgia Southern University prepares students in baccalaureate majors and the Master of Science programs.